I was reading the letter by Dr Boyle and Dr Shield (The Psychologist, August 2018) and I found myself suddenly feeling sorry for the children (and people in general) who have not been diagnosed with a mental illness, but nonetheless struggle with their daily stresses and symptoms that could be ‘labelled’ as an early signs of depression and anxiety. I felt sorry because the children who have the diagnosis can access the much needed extra support. Whether it comes from the mental health teams (CAMHS) or the school learning mentors, support assistants or school counsellors and psychologists – the physical help and emotional support is there. But what about all the children who are more resilient and can cope with the pressures of school better? They might be able to deal with the daily niggles of educational pressures of reaching the desired learning outcomes and they might be better at socially ‘fitting in’ with their peers, but we should not assume that they are ‘feeling ok’. They could be at the brink of a breakdown, waiting to become another statistic in the government figures. They might feel stigmatised to ask for help or even oblivious to the need for it, but that should not automatically exclude them from the help there should be for the mental health. Unfortunately, today’s Western society is very much about the reactive strategies rather than the proactive ones. Stress is part of life; we all feel nervous when we go for job interviews and feel anxious when sitting exams at school. So wouldn’t it be helpful to make the mental health support better available to everyone before they have a ‘breakdown’? We should not wait for the children to become the statistics with CAMHS but be proactive and give them support and strategies from a young age. For example, educate nursery teachers how to facilitate play time that enhances the toddler’s wellbeing. Have mental health related subjects on the school curriculum; maybe basic psychology or even CBT for children to gain the understanding into what is going on for them, why they feel, think or behave in certain ways. 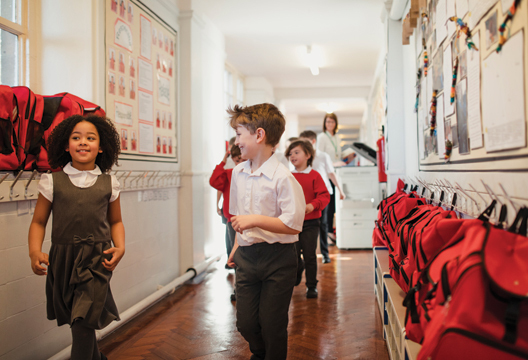 Mindfulness, meditation or even encounter groups at school could help all children become more aware of their own identity, their inner worlds and how they influence and are influenced by others around them. On the community level, perhaps the local councils could provide free venues to set up exam revision groups that would focus less on the curricular material and more on the well-being of the children. By providing the opportunity to engage in 1-to-1 ‘talk time’, in a quiet meditation or just have the quiet, safe space, the group could to provide emotional support, place to talk, place to feel accepted and a place to feel safe – which are all necessary for a child to be mentally healthy.